Voice search is probably the most disrupting trend in search marketing today. Google Voice Search, Siri, Amazon Echo, Google Home, and the Google Assistant allows us to acquire information without even using a device with our fingertips. In 2015, searches conducted through virtual assistants had jumped from practically zero to 10% of overall search volume globally. Today, as many as 20% of mobile queries are conducted by voice search. Recent predictions by ComScore, within the next 3 years, this number is going to more than double. Therefore, we aren't surprised to hear that our clients and many more companies are wondering how the rise of voice search will impact their online visibility. And most importantly, if there is a way they could prepare for the imminent battle for the voice search results. So, to help with that, I’ve created this short guide to create and optimize content for voice search. According to ComScore, 40% of adults use voice search once per day. And it makes sense, particularly if you consider the benefits of voice search. For one, it’s faster. We can speak 150 words per minute but can type only 40. Voice search also allows us to find information when we’re occupied with other things. What’s important, searchers use voice not only in the most obvious situations like driving a car or while being on the go. 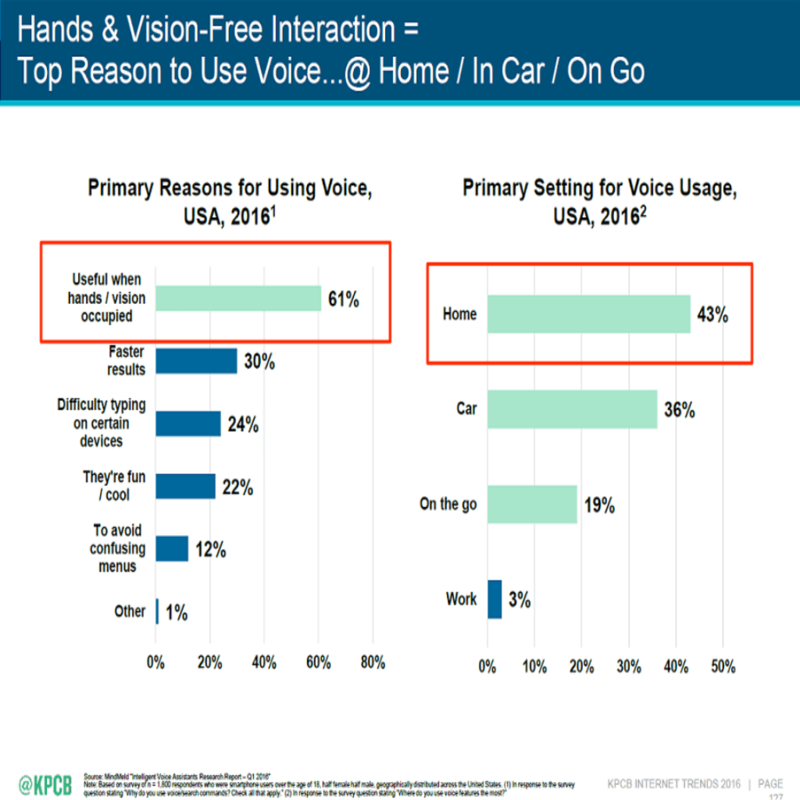 In fact, the majority of respondents admitted to using voice search at home. Another factor that’s noteworthy is the second reason users turn to voice search - faster results. Voice search returns fewer results than the traditional SERPs page. What this means for a user is much less information to sift through to find what they’re looking for. Often, Google and virtual assistants provide users with a direct answer to their query, without requiring them to browse and analyze search results. Given these factors alone, it comes as no surprise that voice search experience comes with high consumer usage - 51% of voice assistants in autos and 39% in households (source). Instead of inquiring about a particular term or phrase, voice users typically ask the search engine proper questions. And what’s important, using semantics and RankBrain, Google can read out (or display) a single, relevant answer you’d usually see on screen as the Answer Box. Here, let me show you. Take a look at this video demonstrating how Google Home responds to various commands. In particular, note the question no. 11 - “How many calories in a burrito from Cafe Rio.” Google Home simply reads out the answer from the Answer Box. 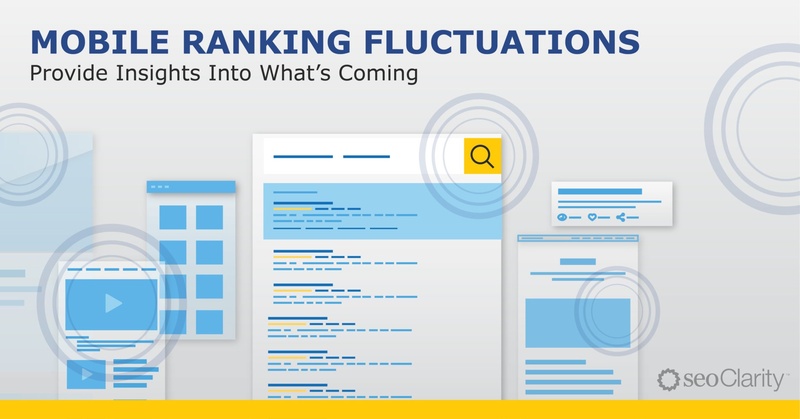 To benefit from this new behavior, you’ll need to change the focus of your content strategies to provide information with in-depth answers to highly-specific questions your customers might ask at different stages of the buying cycle. Answer Box Opportunity is the only tool within the industry to provide in-depth insights on what keywords/topics trigger an Answer Box and how your competitors' are trending. Advanced machine learning capabilities help identify semantically related topics to help content marketers write the best possible content to answer the questions people ask. When speaking to their device, searchers are most likely to describe what they’re looking for using their own words. As a result, their queries are more conversational, and often, leave it to the search engine to decipher the actual intent. 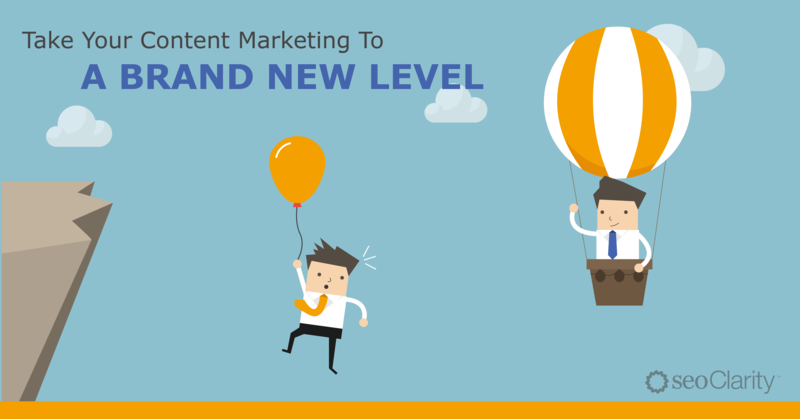 In a long-term, this will force you to create content incorporating semantic keywords, and optimizing it for a greater number of queries. Currently, only Amazon Echo allows users to purchase products using the virtual assistant’s help. And even that functionality isn’t available everywhere yet. In fact, even in the countries where Echo allows you to shop online, the adoption of this method of purchasing products is relatively small. According to Statista, for example, only 10% of users have repeatedly made an online purchase via voice search. However, many customers use voice search as a source of information about potential products they could buy. 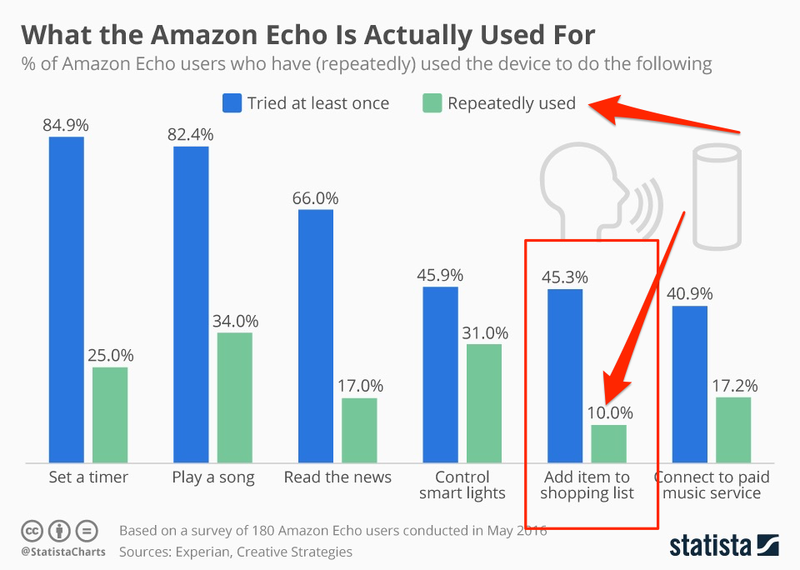 According to the data from this article, 50% of users have used voice search when researching products. Apart from product research, voice search serves as a source of information that fulfills a need customers expect. For example, finding a business location or finding advice to overcome a particular problem. Therefore, at least initially, you should focus on creating voice-optimized content that delivers information that targets awareness and evaluation stages of the buying cycle. 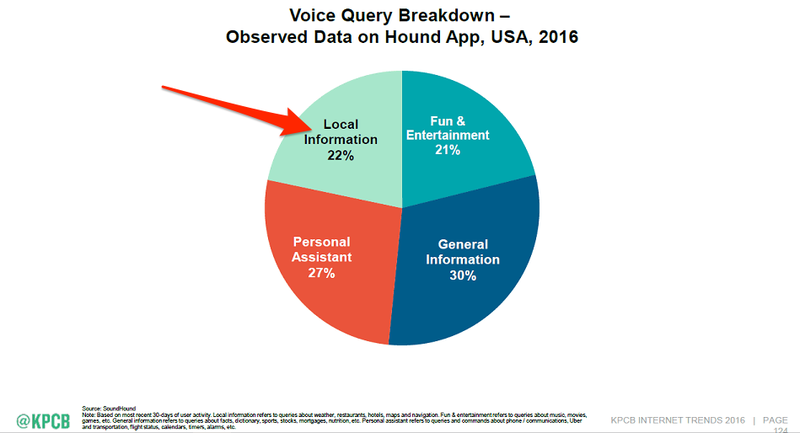 According to data from KPCB (cited via Search Engine Land), 22% of voice queries inquire about local information - directions, restaurants, shopping, local services, weather, local events, traffic, etc. The remainder of queries is distributed between non-commercial queries like personal assistant tasks, entertainment, and general searches. This makes local the biggest commercial intent among voice searches. As a result, you should incorporate new strategies to position your business in local voice search. For example, since Amazon Echo uses Yelp for local results, focus on online local business directories to boost your presence. Voice search is rapidly becoming our primary way of finding information, with as many as 20% of mobile queries being conducted by voice. This research and background shows how it will affect your online visibility, and what you can do to prepare for the imminent voice search battle.